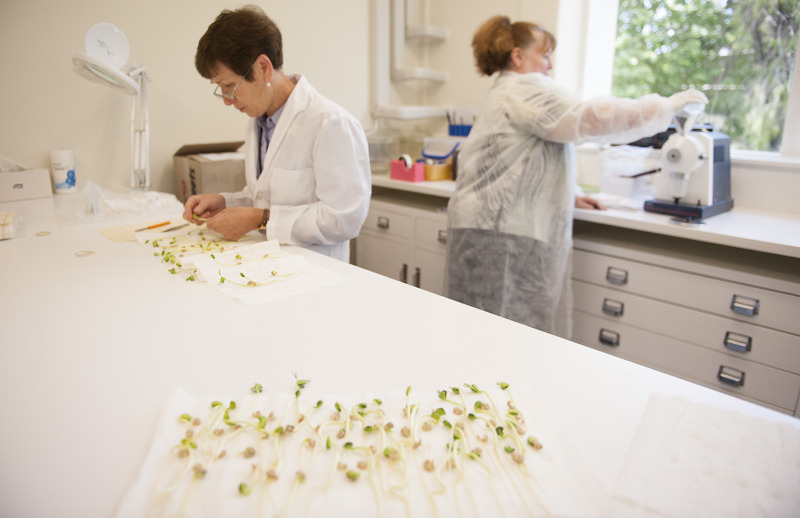 The Department of Primary Industries and Regional Development Diagnostic Laboratory Services (DDLS) - Seed Testing and Certification provides a variety of services including seed testing, crop and potato certification, post-entry quarantine services and industrial hemp licensing and inspection. DDLS Seed Testing and Certification (formally AGWEST Plant Laboratories) has a proud history of servicing Australian agricultural industries and is a leading provider of seed testing, crop and potato certification, post-entry quarantine services and industrial hemp licensing and inspection. Our highly experienced analysts and inspectors operate under accreditations by the International Seed Testing Association (ISTA), the National Association of Testing Authorities, Australia (NATA) and/or the Department of Agriculture and Water Resources (DAWR) and can assist your business with reliable, timely and accurate services. DDLS Seed Testing and Certification services help to facilitate domestic and international trade and also assist in protecting the biosecurity of Western Australia. Our clients are predominantly in Western Australia but also Australia-wide and include farmers, horticulturists, commercial seed producers, importers, exporters, marketers, mining companies and government agencies. DDLS Seed Testing and Certification’s quality assured declarations are recognised to meet the market access requirements of other countries.